It's believed the dogs were abandoned by their owners, possibly in the middle of the night as they moved from their home. 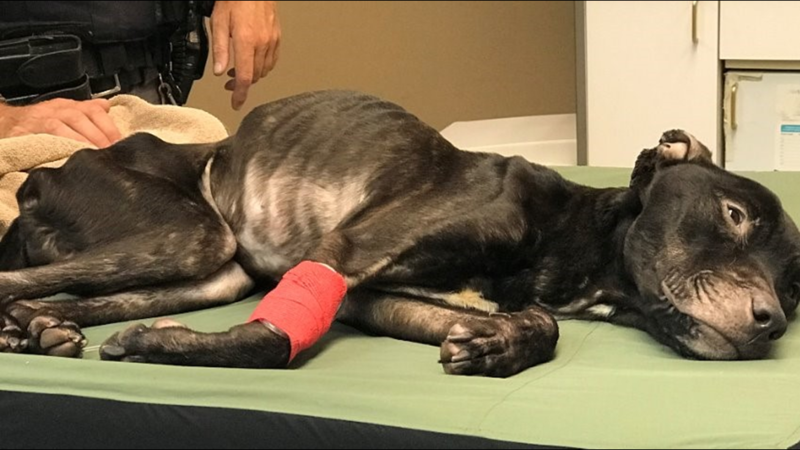 Lorain Police say one of the two severely emaciated dogs rescued from the backyard of a home has died. 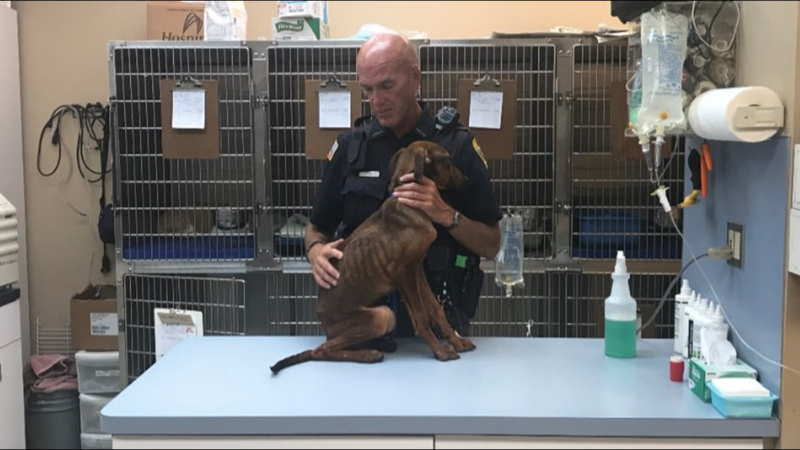 Lorain Police Officer “Doc” Rick Broz got a tip that the pups had been abandoned by their owners, possibly in the middle of the night as they moved from their home. 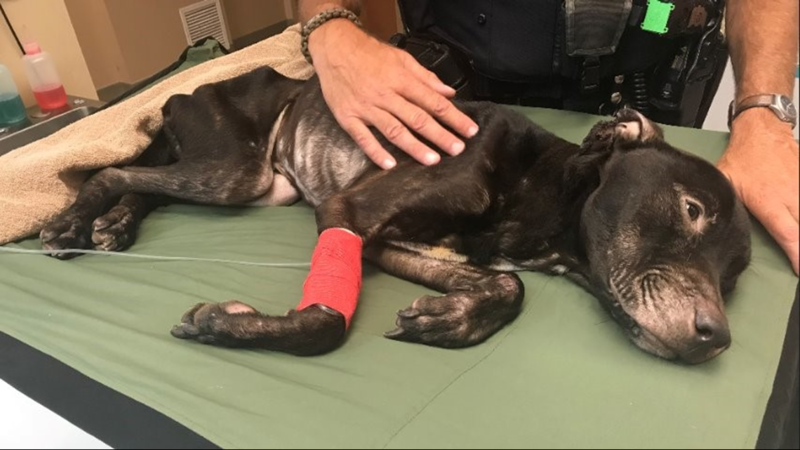 Officer Broz found the first dog in grave condition, so weak that it had to be carried out on a stretcher. "I found this dog first in the backyard. It was too sick, too weak to standup, let alone walk," Officer Broz told us. Alert neighbors tried helping the dog by feeding it, but Broz warns against doing this, as it could potentially make a dog even sicker. 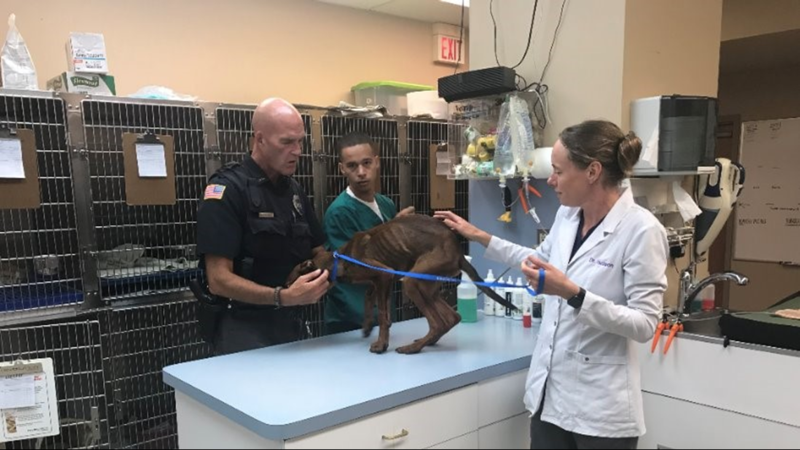 "The people who found it had been trying to give it some food and water, but that's actually the worst thing you could do," Broz said. "If you give it dry food, the food could bloat in its stomach, blocking its intestines." A second dog was discovered not long after, nearby. The animal's condition was slightly better than the first dog's, but it was still in need of immediate care. "It was a younger dog, not quite as bad as this dog is, but still really, really bad," Broz said. Broz says no arrests have yet been made, and investigators are still talking to witnesses. "We're still trying to identify the people who lived there, the people, who, most likely did this," Broz said. "We have one witness who said he was awake in the middle of the night, while they were moving out. He walked back over and the people were gone, and the dog was still there."